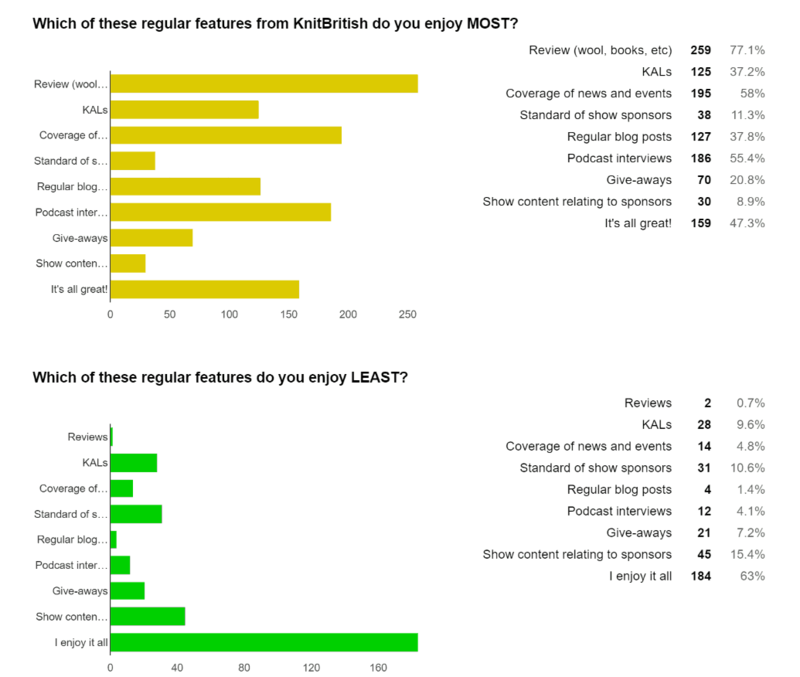 Thank you so very much to all of you who took part in the KnitBritish survey – I am very appreciative of the time you took to do it and the feedback you gave me. I wanted to do a survey to gauge what you enjoy about the show and the website and the things you don’t enjoy so much. There seemed to be a few comments in the survey that you thought I might make too many changes based on the results – pah! Do remember that while I do a podcast for the enjoyment of you all, I definitely need to make it work for me and rest assured I am not going to feature or change up things that I don’t want to! Having said that I appreciate that you feel strongly about what you do like and that listening can be a personal thing – so I will do my best to keep on making listening an enjoyable thing! Let’s have a look at a sample of the feedback. The responses were all anonymous. | I love your podcast and listen to each episode as soon as I have the chance. I could happily listen to even more talk about knitting, knitting history, knitting anecdotes, stories connected to knitwear, stories connected to wool and sheep, stories or people telling about significant knitwear. | I don’t mind sponsors, I understand the reasons to make that choice. You do this particularly well, the sponsors make sense and are linked to content. In other podcasts where it sounds like an advert is being read out I tend to tune out. Your sponsors are more like part of the show i.e. Brit yarn and linked Kals. Very classy Louise! | I want more stories! Some KnitBritish episodes feel like nothing more than one long advertisement. | I discovered your podcast quite recently and have knit through nearly all the podcasts.. Really love your interviews and reviews, maybe a few more reviews of good knitting books? Online patterns are nice but it’s good to get the low down on books. I really love your show and your work and your enthusiasm and passion are so infectious. | I love your coverage of all the fibre festivals and woolly events in your part of the world! I always make notes to refer to and use when I fly over and visit! | I am a beginner. Your hap KAL was great. Although I didn’t participate I read it every day and learned so much that I started one. You have a way of getting people from everywhere interested in wool and knitting. Great job! | Sometimes the reading of introductions of new listeners and reviews can go on a bit long — actually my least favourite thing to listen to. Nice to acknowledge people who introduce themselves, but maybe doesn’t need to be done on the podcast. 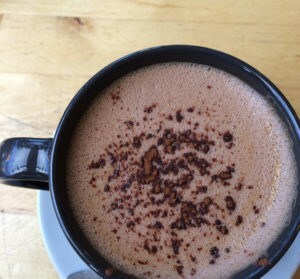 | I enjoy listening to your podcast because you are so enthusiastic… What I also love is that you are so good in building a community, by KALs, the Podcast Lounge, the Ravelry Group and all your interactions between on the social media. | It is a delicate balance, but think you might want to pay attention to how sponsorship drives content. | You always produce interesting content as you are so passionate and knowledgeable about your subject matter. I do enjoy your interviews as well as you engage with other enthusiasts. It’s lovely when you’re both laughing! | you already provide a great anchor to a community, have created a space for knit-local that just didn’t exist before and are already making a tremendous difference. Bravo as you do and are now – don’t feel under pressure to do more! | I suppose my only feedback point is going forward are you going to concentrate on Knit British or Knit Local? Personally I support both and it is great to be inclusive, but it does feel like it complicates some of the KALs (e.g the Breeds Swatch Along) and sometimes dilutes the Knit British message. Firstly, let’s tackle the last comment. 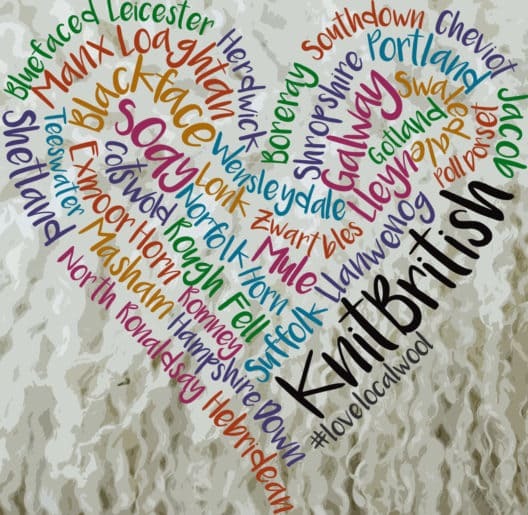 It is important to say that KnitBritish started as a personal journey and it still is. It is my own preference to knit with wool that has been grown, spun or dyed in the UK, which includes all the British Isles. I started the blog out of that and my podcast grew from that. I wanted to talk about the yarns I was using and do a small bit to promote British wool businesses. But as time wore on people from all over the world were writing to me asking where they could get British wool and I would always ask “What is local to you?”. 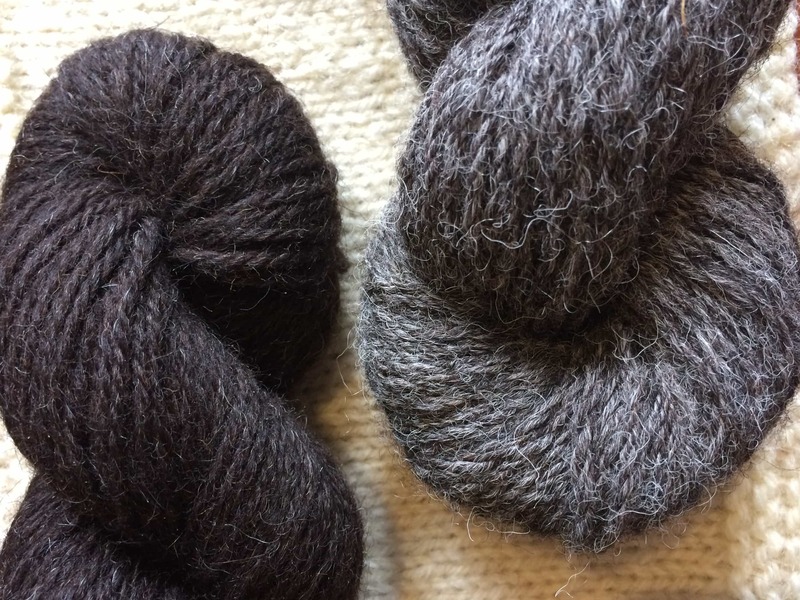 It is totally logical that KnitBritish also supports KnitLocal and that I encourage listeners to seek out what is local to them in terms of breed wool, in terms of mills, yarnies and dyers. I see the two as symbiotic. Some time ago I changed the tag line of KnitBritish from “Support Wool Grown, Spun or Dyed in the UK” to “Love Local Wool”. The former is still specific to my own journey with KnitBritish but #lovelocalwool is far more applicable to all listeners and readers everywhere. Please use that hashtag when you are crafting with local wool! 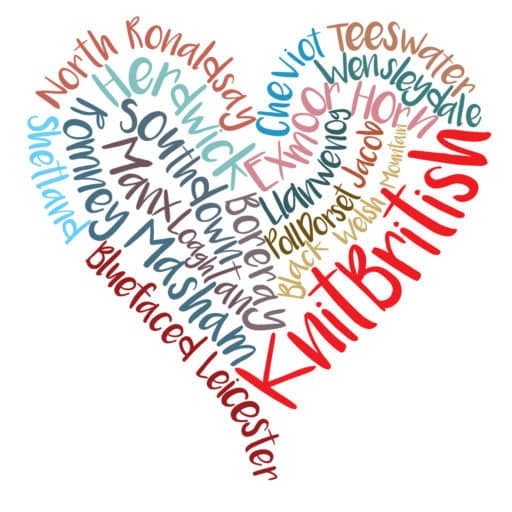 Part of being KnitBritish means that – as well as being a personal journey – I can visit different places, events, interview people and share this with you. I go to the events that I am personally interested in attending and the ones which I can easily reach. I am afraid that often these are in the north half of the UK. I am also very aware that just under half of the listeners of the podcasts are not in the UK, but the name of the show is KnitBritish (one word, two capitals) and so you will appreciate that the focus is on events in the UK. I will do my best to ensure that I try and mention ALL of the woolly and fibrey events in the UK. 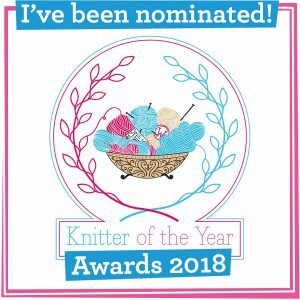 You can also do your bit to talk about the events you are attending throughout the UK and elsewhere by joining the KnitBritish Ravelry group and chatting about them there. I am so chuffed that the majority of you enjoy all of the things about the podcast – thank you! You – the community – are the flagstones around this KnitBritish hearth and I do what I can to bring you into the show and outside of the podcast. KnitBritish has a cracking community on Ravelry and it extends out to social media and also at events and meet ups like the podcast lounge. When we have KALs and shared pursuits that sense of belonging feels even stronger – the #bookofhapsalong is another lovely example of this. There was a bit of a split when it came to sponsorship and content relating to sponsorship. I did a lot of hard thinking before I decided to have sponsors on the show, you may be interested to read about my thoughts on it. I am very keen that sponsors are part of the show, rather than something that distracts from the general content. I am planning on making *some* changes to how the podcast is sponsored, but I will continue in a similar vein. To be clear though – I will always tell you when and who is sponsoring a show (i mention it at the top of the podcast – it is on the show notes and the iTunes notes) and I will only accept sponsorship from companies who who share a similar vision to mine. While we are on the subject, I never ask for payment for a review of an item (it makes a fool of everyone involved). I only ever offer a totally honest opinion. I really do appreciate the feedback and the comments. I can’t address them all or answer them all here. Also, unfortunately you cannot please all of the people all of the time. I also know that when I listen to podcasts I can often feel it is directed entirely at me. I know there are parts of the show that some of you fast forward through – please keep on doing that and remember that perhaps that may be a bit someone else really enjoys. I certainly enjoy doing every single little bit of it! I will be back with some of the suggestions you had and a few ideas for the future! I like the audio format (though there could be an occasional video from events)! Also I like to keep lots of things in my personal life personal. I may have a very chatty and personable show, but I like to keep a whole lot off-line. Please visit www.knitbritish.net and click on podcast. You will find quite extensive show notes for each episode, with links. It takes quite a few hours to write, record, edit, publish and type show notes – transcription is not an option at the moment. KB hosts the Podcast Lounge AND it is my local festival – I will continue to support Edinburgh Yarn Festival to the MAX. Previous Post#BookofHapsalong – Which hap?